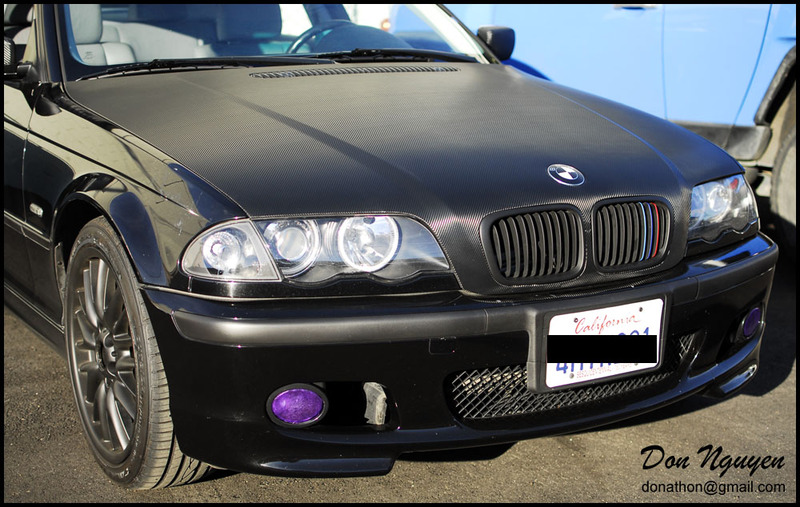 This is one of the cars that I worked on during one of my tours up to norcal to do vehicle wraps. 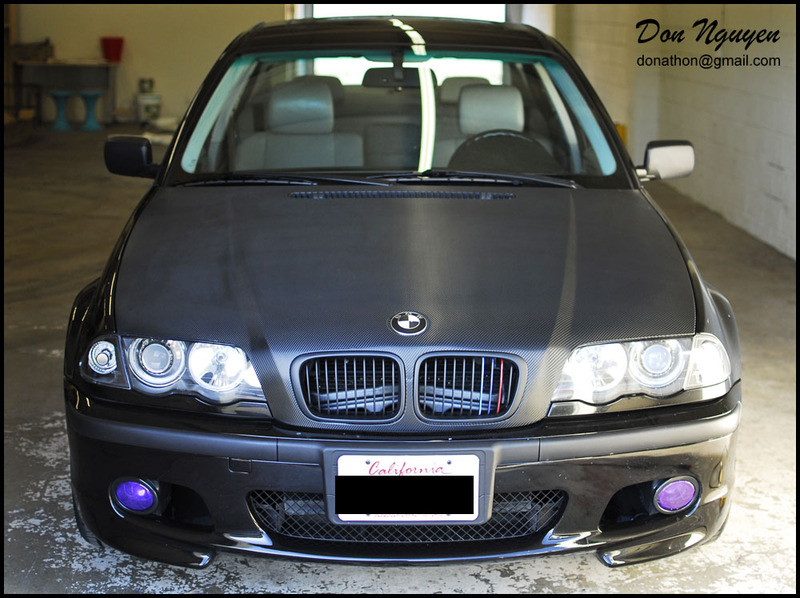 The owner of this black BMW E46 328i had me wrap the hood of his car in the 3M 1080 gloss carbon fiber material. The weave is slightly smaller than the 3M Di-noc vinyl, so it's a bit harder to photograph and show you guys how the weave and design looks like on this material. 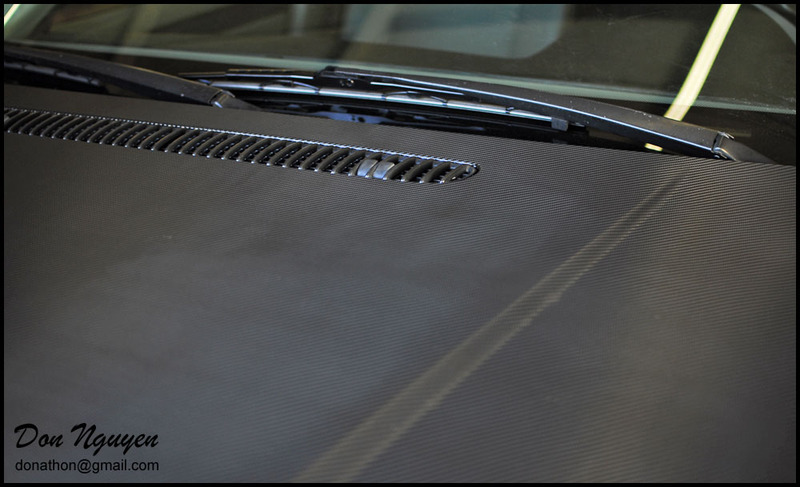 I do several trips up to norcal to do wraps throughout the year, so if you are located in norcal, shoot me an e-mail and we can arrange something for my next trip up to the Bay Area.